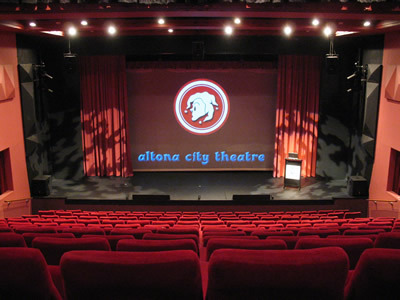 ACT is based at the Altona Theatre, where we audition, rehearse and perform. The theatre is located at 115 Civic Parade, Altona (to the left of the Council offices). Please note that we do not manage venue bookings for the Altona Theatre. For information on hiring the theatre, please visit the Altona Theatre page on the Hobsons Bay City Council website and contact their Arts Facilities Officer. If you are a theatre hirer looking for technical information on the venue, please head to our Technical Services site.